For a $10 monthly subscription fee, you get full digital access to over 300 magazines. Titles like National Geographic, The New Yorker, Popular Science—and, yes, WIRED—have signed on as part of the service, plus newspapers like The Los Angeles Times and The Wall Street Journal. But this isn’t just reading the news on your iPhone. Each magazine issue will be designed specifically for Apple News+, with features like “live” covers that move around and magazine stories formatted to fit your phone. It will recommend issues based on your interest and show you titles similar to the ones you’ve read in the past. The price covers your whole family, and Apple says it won’t allow advertisers to track what you read. Apple News+ is available starting today, and Apple will even throw in the first month for free. All of these updates are coming to Apple TV starting this May. 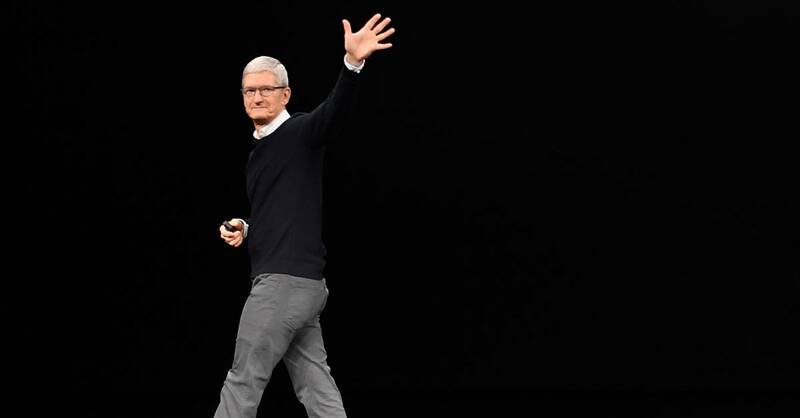 Apple is also making a big push to get its content on more television screens: It’ll introduce an Apple TV app for high-end smart TVs, Amazon Fire TV, and Roku later this year. But wait, there’s more! Apple will now make its own original content too, with a subscription service called Apple TV+. Think of this as Apple’s answer to Netflix or Hulu. It’s starting off with a star-studded list of collaborators, like Steven Spielberg, JJ Abrams, and Sophia Coppola, who will create content exclusively for Apple TV+. Like Apple’s other subscription services, this one will be available both online and offline in the Apple TV app. The company didn’t announce pricing or availability, but offered a “sneak peek” at what’s to come. That included glimpses of a Steven Spielberg-directed sci-fi series called Amazing Stories, a Steven Knight show about a world where everyone is blind, Kumail Nanjiani’s immigrant-focused Little America; and a series called The Morning Show with Reese Witherspoon, Jennifer Aniston, and Steve Carell. Bird Bird also made an appearance onstage, as did Oprah Winfrey. You’re going to need a way to pay for all of these new subscription services, right? Apple announced today that it will make its own credit card, backed by Goldman Sachs, that will upend the way you’ll pay for things. The Apple Card isn’t like other credit cards. There are no late fees, annual fees, or international fees. Customer support comes through iMessage. And while there is a physical card you can swipe (made of titanium, naturally), it’s designed to be used primarily on your iPhone, like Apple Pay. “It’s always with you because it’s in your iPhone, in the Wallet app,” said Apple Pay chief Jennifer Bailey onstage today. When you spend with an Apple Card, you earn 2 percent cash back (3 percent when you buy Apple products). A feature called Daily Cash puts these rewards in your Apple Cash app to use right away. You can spend it like real cash: online, at point-of-sale, or sending it to friends over iMessage. Each transaction is authenticated with TouchID or FaceID, and Apple says it won’t share your purchasing data with anyone. It will be available in the United States starting this summer. The last of Apple’s new subscription services focuses on premium games. Apple Arcade will give subscribers access to over 100 new games, all of which will be exclusive to Apple Arcade. You’ll be able to play games across Apple devices—start on your iPhone, pick up where you left off on your Apple TV—and every game will be playable offline. The company says it’s investing in game developers who want to tell stories through their games, and highlighted games like Monument Valley 2 as examples of the caliber you can expect here. Apple Arcade will launch in the fall, with pricing TBD. Today’s event focused exclusively on Apple’s services—but that doesn’t mean Apple’s done with hardware. Last week, the company issued updates to iPads, iMacs, and AirPods. Going forward, Apple’s business model will rely equally on both creating devices you’ll use and the services that’ll keep you using them. You’ll need an iPhone to get the most out of Apple Card, and you’ll want an Apple TV to watch all of those new shows.